Seniors should report with their parents to the north end of the track by 6:15 pm. Lots of help is still needed to feed and clothe our marchers this Friday and Saturday, only 14 of 50 positions have been filled! Permission slips have been sent home with all percussionists, and must be turned in with payment no later than Friday, October 5, 2018. 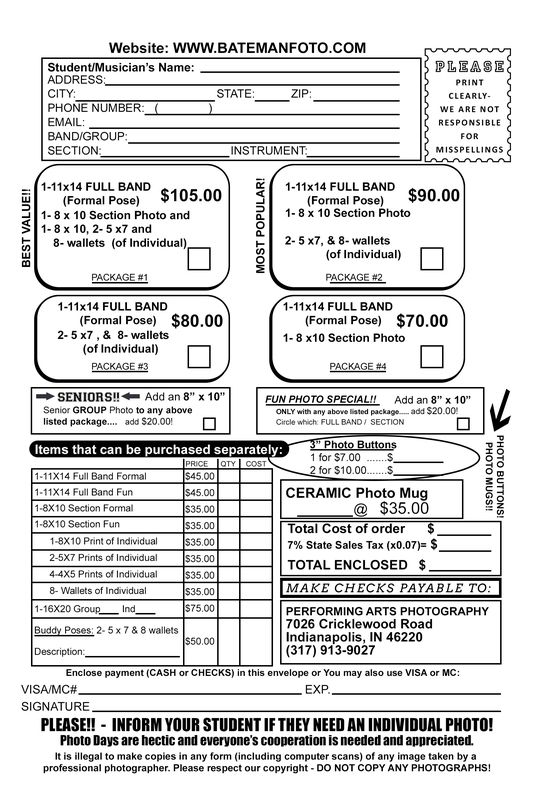 MPLT Photos will be taken on Thursday, September 27th. Performing Arts Photography by Bateman will be photographing the full band, seniors, sections, individuals, siblings, and friend groups. Order envelopes have passed out to students and are available in the LC & LN Performing Arts offices. Orders will be delivered to the school. We will discuss upcoming competitions, events such as the Hayride, and more! Time is running out to participate in this year’s Professional Automotive fundraiser! MPLT Seniors are encouraged to take part in Senior Exploration Day, but are expected to be at rehearsal from 4:30pm – 6:30pm that afternoon. Please plan your day accordingly. Football and Competition Season is upon us, and MPLT needs your help now more than ever! Volunteers are needed to assist with Meal Plan, Uniforms, Pride Bakers, and special events such as the annual Hayride and Halloween goodie bags. More positions will be added as the season progresses, so keep an eye out for ways that you can help! Marching Pride of Lawrence Township Come join us!